Dékó is not really a font as such. Dékó is just decorative. But completely without frills. Geometric stems which are arranged in a square result in small graphic works of art. The characters are just barely still recognizable as letters. Each letter is its own little logo. Stylistically, Dékó belongs to the late Art Deco, the De Stijl movement of the 1920s and Constructivism of the 1930s. 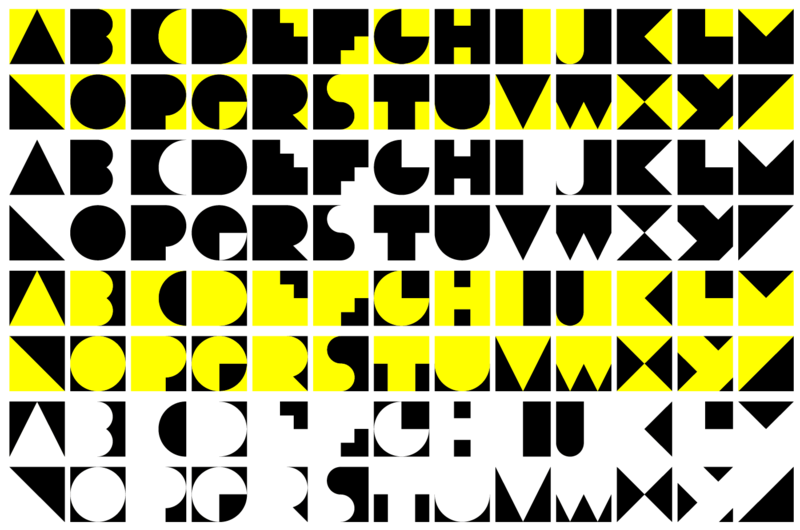 But even in the 1950s and 60s there were movements in design which cultivated this type of shape language. 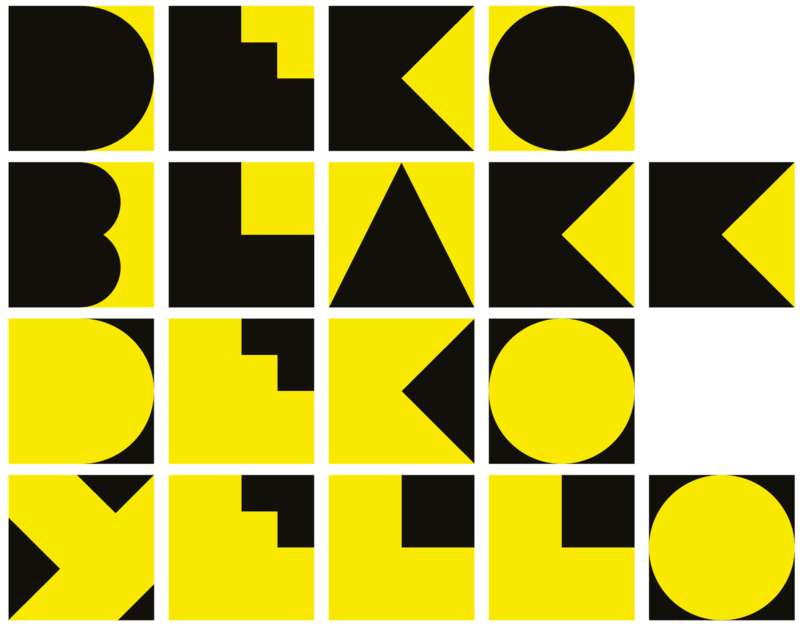 Dékó Blakk represents the positive form of the letters whereas the coordinating negative form is found in Dékó Yello. Together, one on top of the other, they result in a full square for each letter consisting of a foreground and background. Depending on the combination of both fonts, vivid effects are more or less attained.